Published annually, the Accredited Professional and Professional members of the SGAA come together to present and be represented in the Sourcebook. 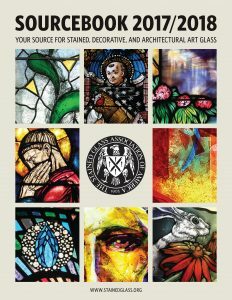 This publication serves as a resource in stained glass, outlining the basic concepts of and reasons for the use of stained glass. It offers a suggested plan for specifications and presents an impressive portfolio of installations expressing the capabilities of our members. 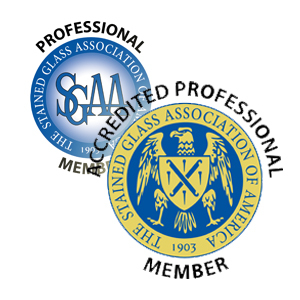 The SGAA is the only accrediting body for stained glass in the United States. The accreditation process is designed to uphold and advance the standards of the craft in such a way as to reflect honor upon the profession, create art of the highest caliber, and thereby both advance the reputation of the profession and ensure that it can continue to be practiced with dignity and pride. 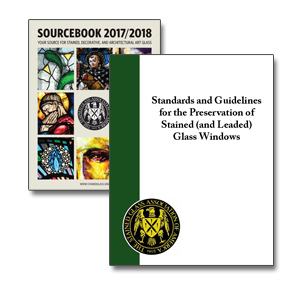 Professional industry standards and guidelines have been established for the accreditation process of stained glass studios whereby proof of good technical and business habits can be demonstrated. Need a Stained Glass Studio? Let us help you save time, money and speed up your selection process. Download Finding a Studio form and send to the SGAA Headquarters, or call us at 1-800-438-9581. It’s that simple! The Stained Glass Association of America will send your information to our Accredited Studios. Studios interested in and capable of performing the work for your project will contact you to begin the next step in the selection process. The SGAA Headquarters is always available to help with the success of your project. 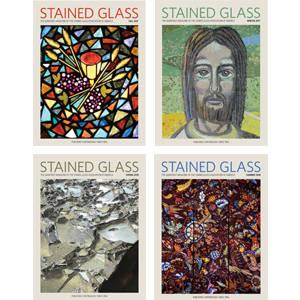 A team of stained glass experts are available with advice and answers to your questions.